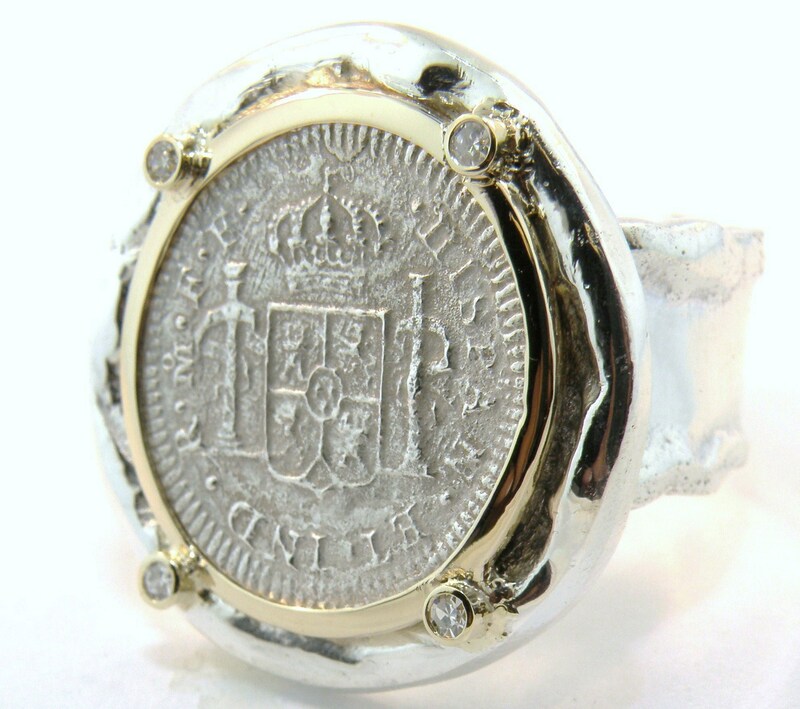 These pieces were each created individually for our clients, sometimes using stones which they selected from our inventory and sometimes using their own stones. 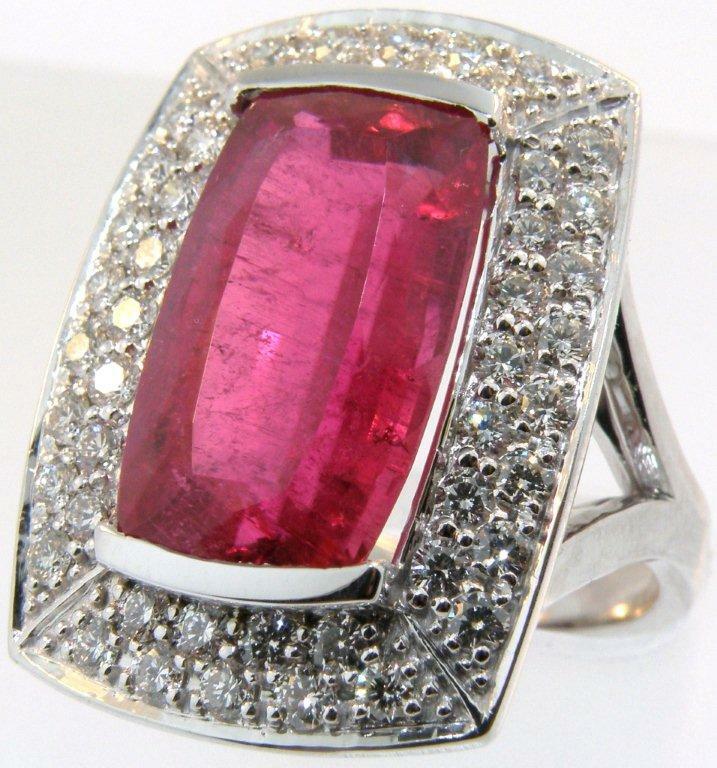 The deep pink tourmaline weighs over 8½ carats, and the ring was custom made based upon a drawing the customer brought us. 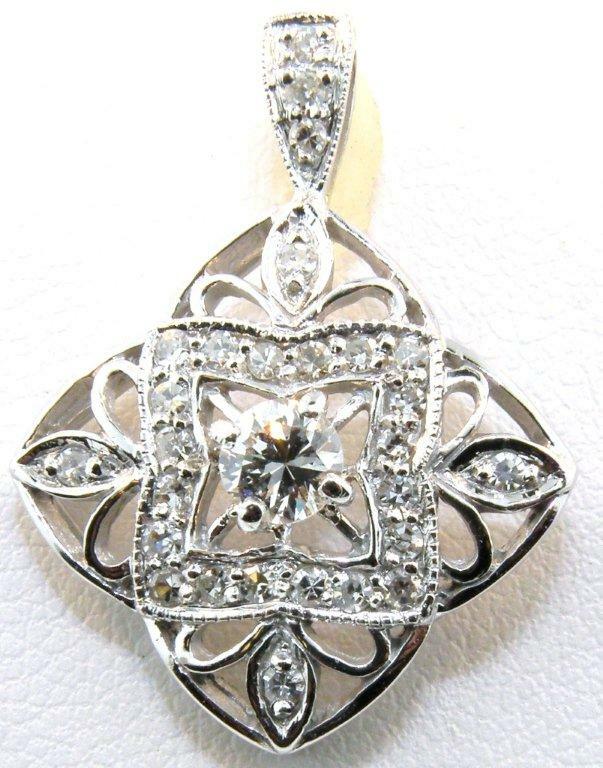 The client had her late mother's wedding set and wanted us to make her a pendant with the diamonds. The filigree design reminds her of her mother's style sense. 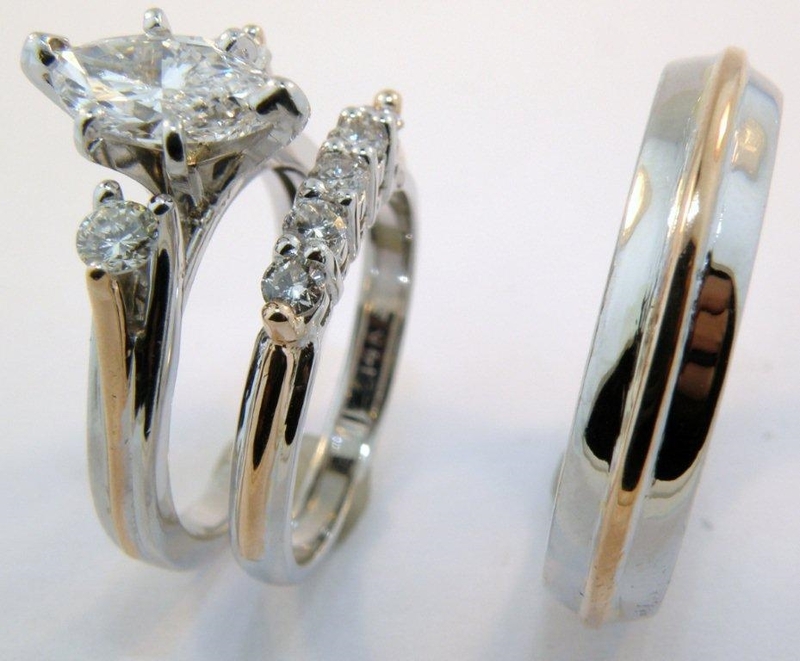 Our customer had an assortment of diamonds from various items that she no longer wore. We made this band using all of them to give her the bling she was looking for. 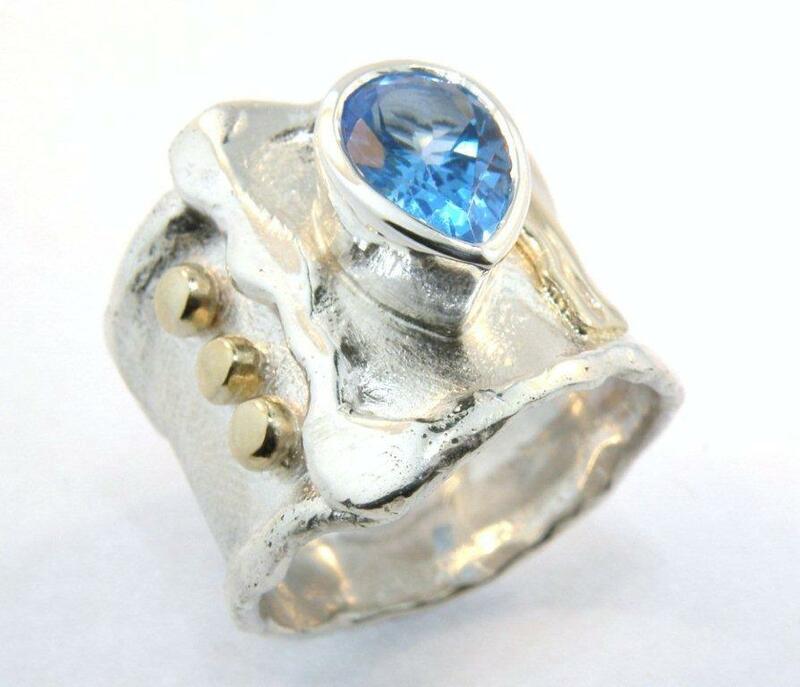 The client supplied the Blue Topaz, and we created a very wide ring to her specifications in sterling and 14karat yellow gold. Our client brought a sketch and stones from various old family jewelry pieces. This pendant looks great on her omega chain as well as on several others. 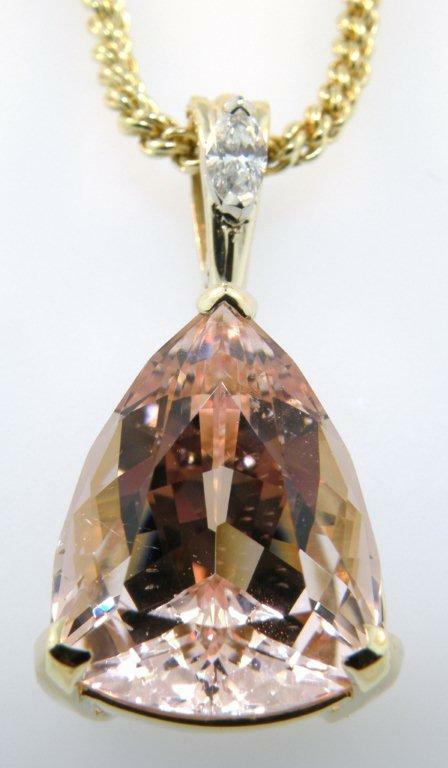 A gentleman saw this gorgeous Morganite in our store, and asked us to make his wife a pendant. We thought that the stone needed little enhancement, and created a simple frame for it, using an enhancer bail so that the pendant may be worn on a chain or with pearls. 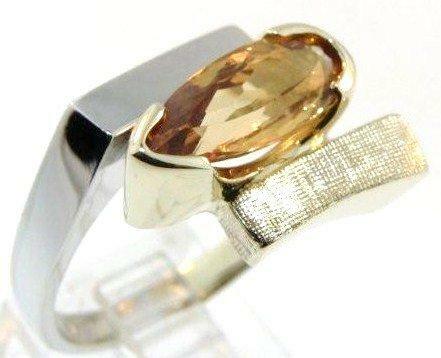 We had this elongated pear shape imperial topaz in our display case, and working with the customer, created a two tone ring with the stone set horizontally. 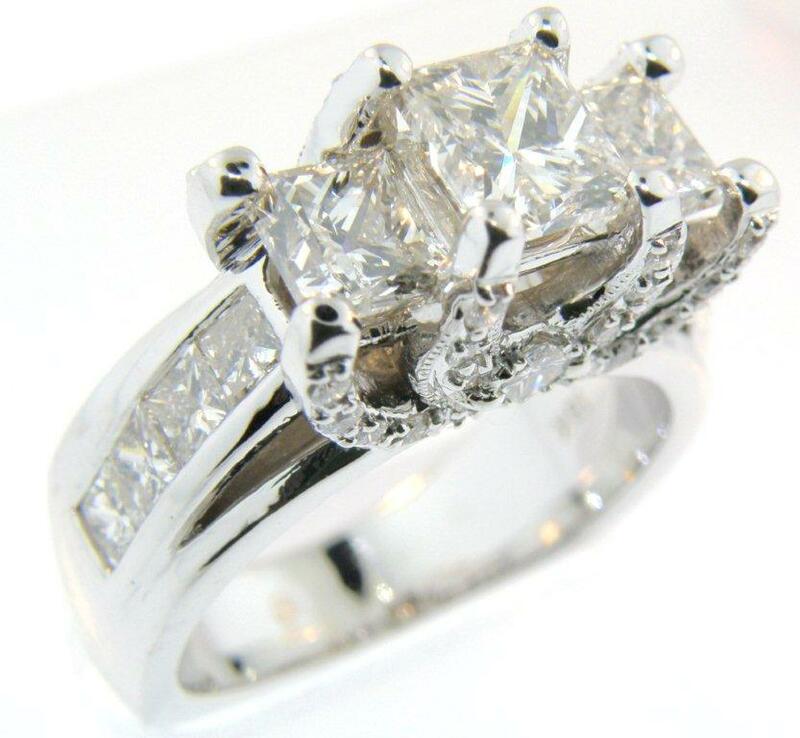 To commemorate their 25th anniversary, the couple wanted to combine a princess cut stone they already had with some of ours to make a three stone, Past, Present and Future ring. 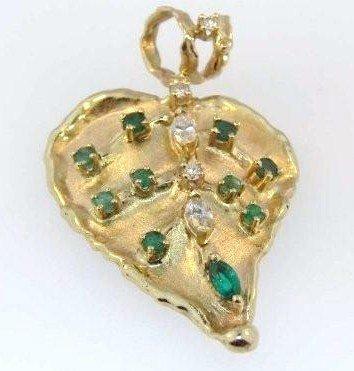 The cross, originally a pendant, came from our client's late mom. 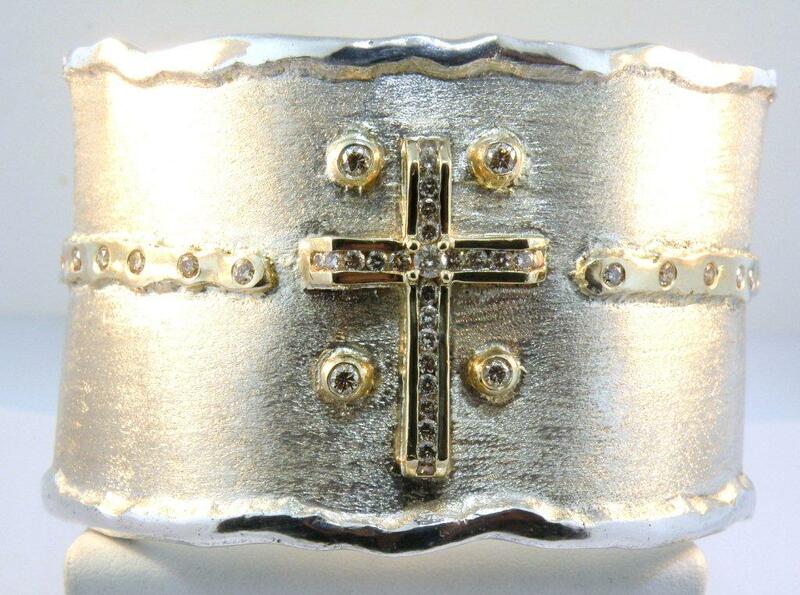 We added more gold and diamonds to balance out the design of this custom fitted cuff. 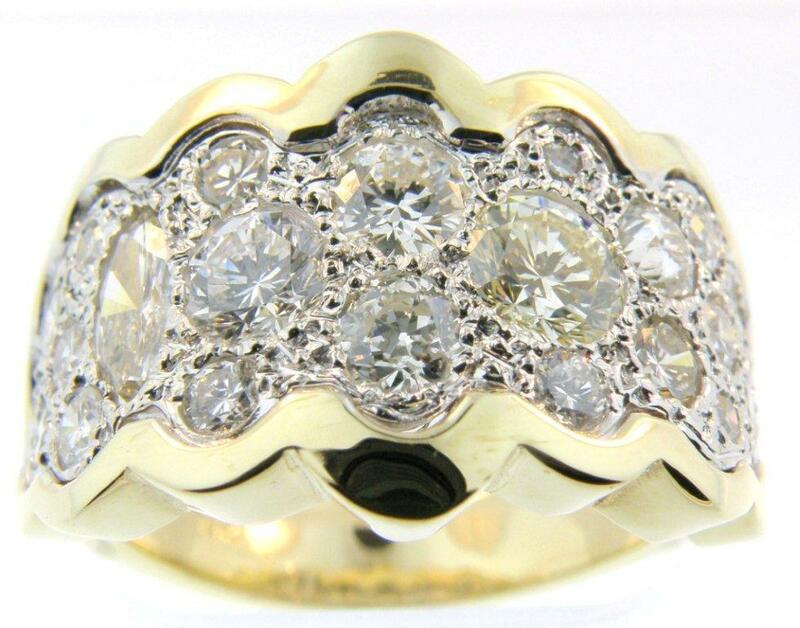 We created a ring using black spinels and white diamonds in 14 karat yellow gold for Jackie Scott, Tidewater's Queen of the Blues. She was in love with a ring owned by the famous blues saxophone player Eddie Shaw, and with his permission we used his ring as a starting point to make Ms. Jackie the ring of her dreams. We changed the original design around just a bit to match her inimitable style. You can see Jackie Scott And The Housewreckers performing at various venues across Tidewater. And you can be sure she will be wearing her ring! Our client's fiancee loved the combination of white and rose gold, so we made her engagement ring featuring a 1 carat Marquise diamond white gold with accents of rose and then handcrafted the matching bands in white gold (a diamond band for her, of course!) with a ribbon of rose gold running through them.